Recently honoured with a Lifetime Achievement award by the Ards International Guitar Festival in Northern Ireland, the singer has received critical acclaim for her vocal ability. 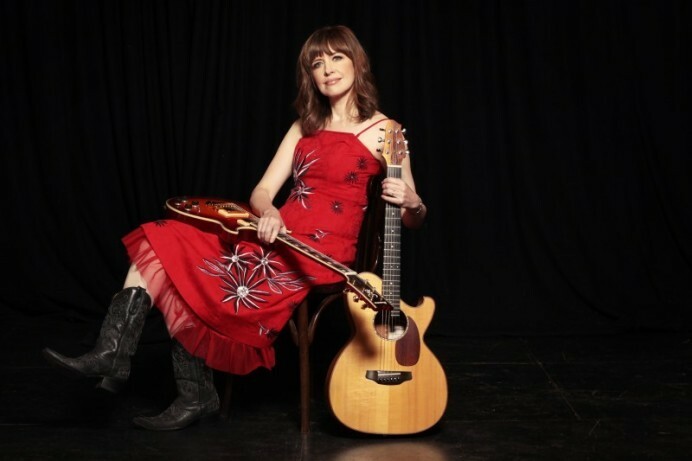 Described as having a ‘subtle mastery onstage’ by The Huffington Post, the Madrid born singer has also received glowing reviews for her 5th album ‘If We Dig Any Deeper It Could Get Dangerous.’ Guitar legend Michael Chapman has also spoken of his delight in being involved in HER new album and has described Sarah’s writing as sophisticated and of high precision. This unmissable live performance will begin at 8pm. Tickets priced at £15 are available from Flowerfield Arts Centre Box Office by calling 028 7083 1400. Doors open at 7.30pm. Madrid-born singer Sarah McQuaid will perform at Flowerfield Arts Centre on Saturday 9th March.